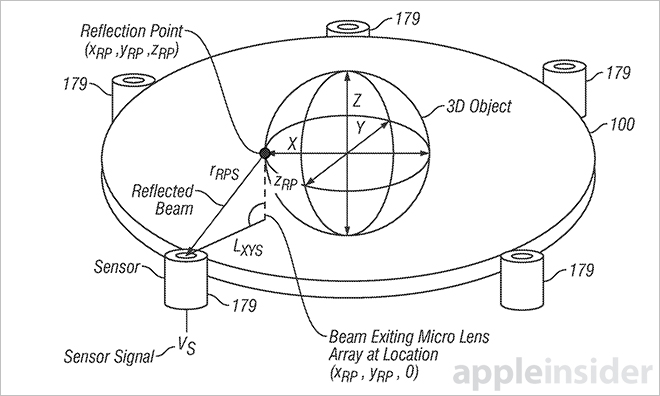 Apple on Tuesday was granted a patent for an advanced device display that uses lasers, micro lenses and sensors to not only output a three-dimensional holographic image, but detect how a user interacts with it in real time. 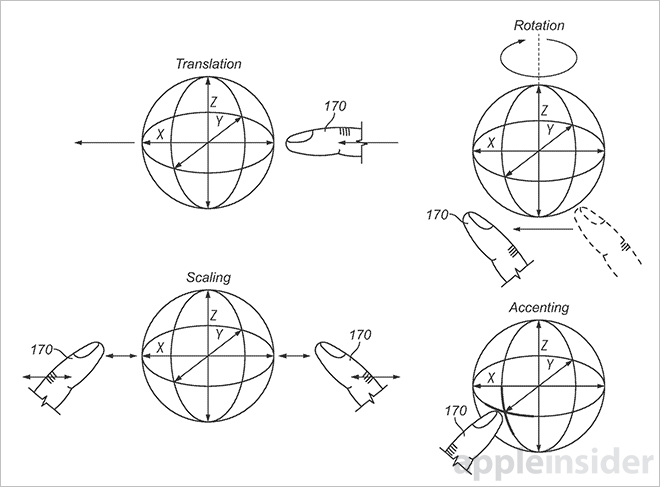 As published by the U.S. Patent and Trademark Office, Apple's U.S. PatentNo. 8,847,919 for an "Interactive holographic display device" relates to an advanced two-dimensional panel that can display three-dimensional images without the aid of spinning mirrors, steam or other mediums. Further, Apple's invention is capable of supporting touchscreen technology, meaning it might one day find use in an iPhone, iPad or other multitouch electronic. 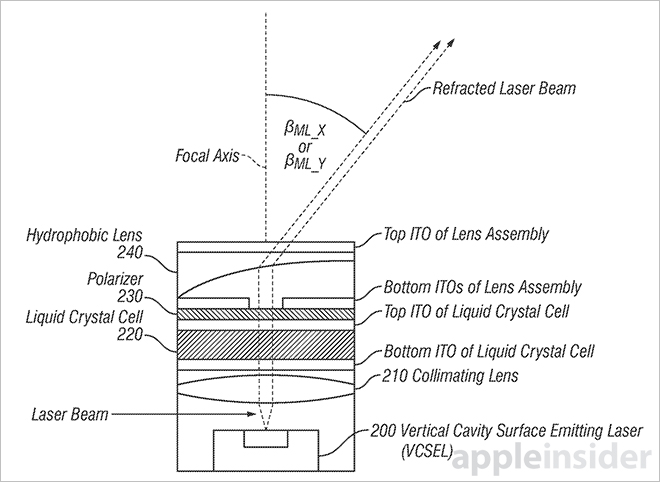 The theory behind Apple's holographic display patent deals mainly with beams of light. For example, a computer rendering engine can generate multiple views of an on-screen object, each at varying angles. Using this information, a single light source can produce one or more beams of light that are directed through an LCD panel and lens assembly to form a holographic image operable to the location of the user. The lens assembly is made up of micro lenses that each deflect emitted laser light at a specific angle in relation to the observer. By applying a modulation function to the light beam, the system can activate light beams at desired micro lens locations, while leaving other deactivated. With the beams deflected through the micro lens array, the system can create a three-dimensional illusion of the desired object. Further, optical sensors disposed around the lens array are able to detect interaction with the displayed image by sensing reflected light bouncing off a user's finger. To increase accuracy, phase-shift between signals of modulated infrared lasers and incoming reflected light is used to triangulate finger positioning. This also enabled multitouch gesture support. Single-finger gestures can be used to turn or move the holographic object, while two-finger pinch gestures can realize scale. Inertia data based on finger speed can also be applied to the generated image, lending a sense of mass to the holographic object. The patent goes on to explain 3D mapping engines, a detailed overview of micro lens arrangements, descriptions of sensor operation and exemplary hardware setups. 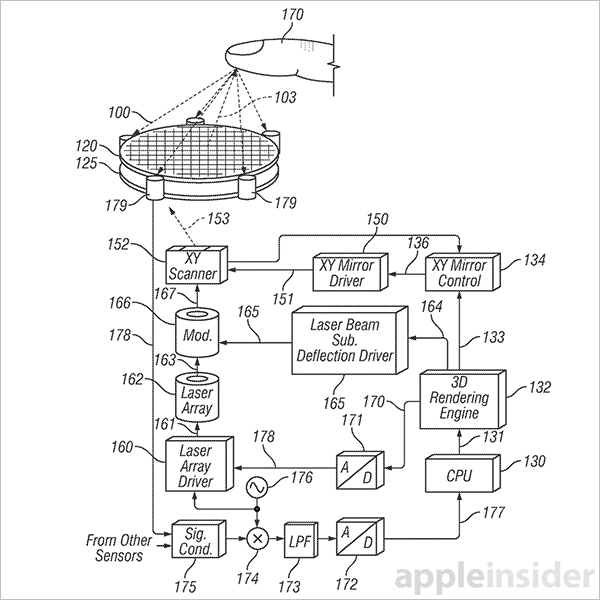 Apple's holographic display patent was filed for in February 2011 and credits Christoph Horst Krah as its inventor.